Eczema has to be one of the most horrible skin complaints. Eczema, or atopic dermatitis, is a surprisingly common but extremely unpleasant skin condition that may appear anywhere on the body. It causes the skin to appear red and feel hot and inflamed as well as maddeningly itchy. It is hard to resist the urge to scratch but scratching only makes matters worse because the skin is already in a damaged state. Eczema can also cause the skin to dry out, peel, weep, crack and blister. Conventional medicine has no answers for eczema beyond cortisone creams which thin the skin and only provide temporary relief. 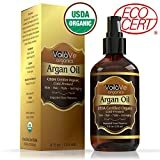 Does Argan oil help eczema? Although there are very few scientific studies on the efficacy of Argan oil for treating the skin, it has been used for centuries as a traditional Moroccan treatment for conditions like eczema, psoriasis, dryness, wrinkles and scarring. Argan oil is a complex gift from nature. It is extraordinarily rich in vitamin E, as well as soothing fatty acids, rare plant sterols and a plethora of other constituents. Additionally, Argan oil is non-greasy and absorbs quickly, a real blessing for dry, irritated skin that has been damaged by dermatitis. Thus the main benefits of Argan oil for eczema and other skin problems are its anti-inflammatory, nutritive and skin cell regenerating qualities. Argan oil has become increasingly popular in cosmetic products over the last few years for very good reasons.